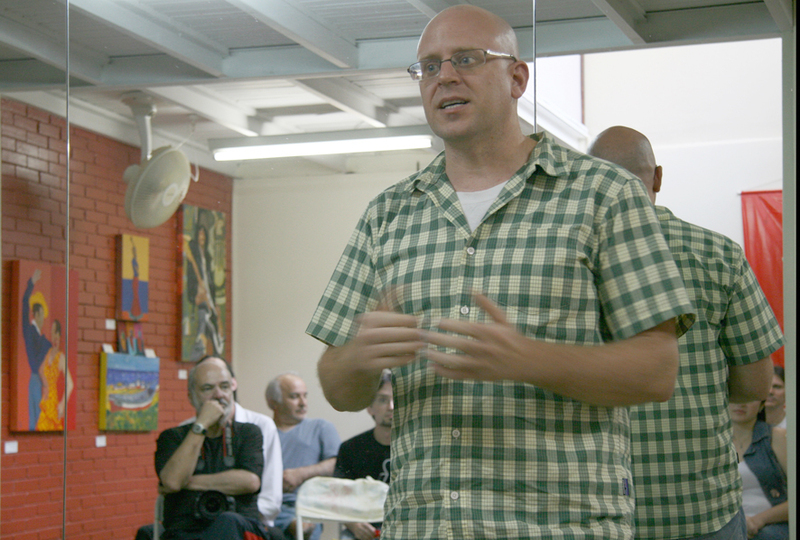 I was recently invited to join a sort of talent show at a local flamenco school here in Brasil. There were many different artists ranging from painters / drawers to dancers, singers, and fashion designers. It was an interesting afternoon and well enjoyed. I had several people comment on my paintings. I think there was some excitement when I spoke about my long-term project of documenting flamenco through painting, drawing, and sculptures.